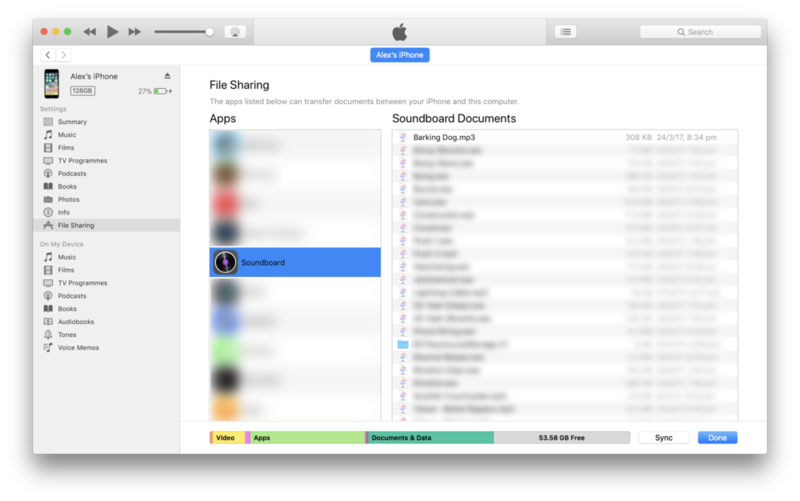 A new audio file can be added to Podcast Soundboard for iOS three ways: by downloading it by URL, by importing it from the native Files app, or through iTunes file sharing. To add a file through iTunes file sharing, first, connect your device by USB, then select it from the iTunes toolbar. From here, click File Sharing in the sidebar. Then, after selecting the Soundboard application, you can drag and drop files in the Soundboard Documents section.